In the current economic environment, it is critically important to reduce waste and improve efficiency. The cost of many raw materials, and the energy to convert these materials into usable products, has increased dramatically during the last few years. Various industrial metals, including steel, copper, and aluminum have seen particularly large increases in cost. Some of the more exotic materials, including platinum, silver and gold have been equally volatile. Even wood products and paper have also become more expensive. Those materials that are based on petroleum, including many plastics, have also been strongly affected. Of course, new material may be manufactured by finding areas with good quality ore, mining that ore, transporting the ore to the smelting facility, and finally producing the metals. There are additional costs associated with safety and environmental issues at the mine. Toxic runoff must be controlled. Completed areas must be refurbished for subsequent use. Some of the highest quality ore has already been depleted, and metal manufacturers spend very significant amounts searching for new sources. It is widely recognized that some of the highest quality sources available are available from recycling old and obsolete finished products. Automobiles are an obvious example, with significant amounts of steel and aluminum, along with rubber, glass and other materials. Automotive catalytic converters include high precious metal content. Used aluminum cans are an ideal source for recycling. It is virtually 100% aluminum, so little re-processing is required. Plastic bottles and other plastic packaging is yet another perfect resource for material. 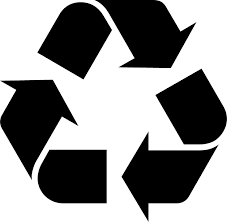 Recycling has the very major added benefit of being environmentally friendly. While the material must be collected and transported to a facility, the amount of energy used is often just a fraction of that required to produce new material. Furthermore, it helps reduce the amount of waste that must be disposed of. As the cost of materials has increased, the amount paid for recycled products has also increased. This has provided incentive to many new firms to enter the recycling business. Their goal is to located sources of recycled material, accurately weigh this material to properly compensate the source firm, and then transport it to a processing center. Depending on the type of material, a wide variety of industrial scales are used for this purpose. Digital bench scales are appropriate for smaller items. Electronic platform scales are ideal for heavier batches of material. And large Floor Scales are used for pallet loads of materials. While the scales themselves may have different capacities and platform sizes, the general attributes should be similar. Most importantly, they must be very rugged for this type of use. The best way to achieve this goal is to incorporate stainless steel load sensors. While many scales manufacturers may opt for sensors fabricated from aluminum or stainless steel, the better scales, such as Arlyn Scales line of industrial scales, choose stainless steel to more successfully withstand shock load and overload abuse. As a bonus, scales with stainless steel load sensors will also offer better performance in humid or wet environments, or in situations where there may be corrosive materials present. Often, trucks are used to transport this material, and the scale is carried on the truck. It is very convenient if the digital scale is capable of operating without the need to be plugged into a wall outlet. This is often accomplished with a rechargeable battery pack, or a connector for the vehicles 12 vdc electrical system. Yet another important feature is nature of the scale platform itself. A low profile platform allows materials to be easily loaded onto the scale. As the client must be paid for the material collected, printing and data logging are very useful features. A printer output port allows a record to be printed on the spot. Some of the more advanced scales, such as the Arlyn platform scales and floor scales, provide a USB data port. A simple memory stick may be plugged into this port. Every load of material can then be saved, along with the date and time of the transaction. At the end of any collection period, the memory stick can then be plugged into a computer, and the data can be entered into a spreadsheet of database table. This has the added benefit of being able to save data from many different sources, and then analyze the efficiency of the collection operation.